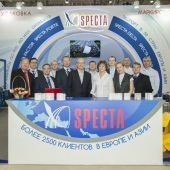 In December 2016 Specta packaging strap again has become the winner in the competition “100 best products of Russia” in the nomination “Industrial products”. It is for the 5th time that Specta receives the diplomas. 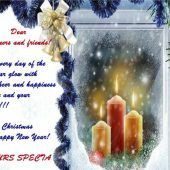 SPECTA wishes You a Merry Christmas and a Happy New Year! 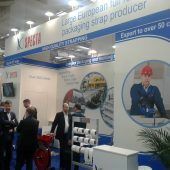 In line with its production diversification strategy, Specta has developed and launched the manufacture of a new brand of polyester packing strap – Specta Auris. Production of this strap was the natural outcome of the process of continual development and rationalization of our technologies. 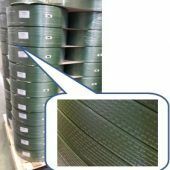 This kind of strap was developed with a view for special requirements of our customers. 8-11 November all eyes were on Moscow where one of the biggest international metal shows “Metal-Expo 2016” took place. Today the exhibition is a distinctive indicator of development in metallurgical industry. This year 530 companies from 32 countries took part in the event, among them leading steel-making enterprises, tube and hardware plants, non-ferrous producers, machine-builders and others. Over 27000 professional attended the event. With a 46-year history of excellence EuroBLECH 2016 International sheet metal working technology exhibition took place in Hanover, Germany on 25-29 October. Metal-Expo’2016 will become the market barometer demonstrating the growth opportunities and innovation. More than 600 companies from 35 countries will exhibit in the event this year while more than 30.000 industry professionals will visit the exhibition! The majority of whom comprises the target audience - steel products users from the metal construction industry, heavy engineering, fuel and energy complex, transportation, logistics, steel trading etc. 25 October the 24th International Sheet Metal Working Technology Exhibition will start its work in Hannover, Germany. On 5-6 October the Association of Finnish Sawmillmen organizes an event celebrating a Sawmill Industry Day. Specta is constantly working on the quality improvement of the packing materials, develops new products and up-grades the technical characteristics of the present packing equipment. 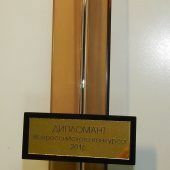 In the frame of Thousand Lakes Charity Fund founded by Erik Helin, CEO of Specta Group, awards ceremony took place in Kostroma State University of Technology.